Similar to an extended cat's claw the blade wraps around what you're cutting, functionally drawing the cut object in closer and in continuous contact with the sharp edge while the curved hook restrains material from sliding off/away from the blade. 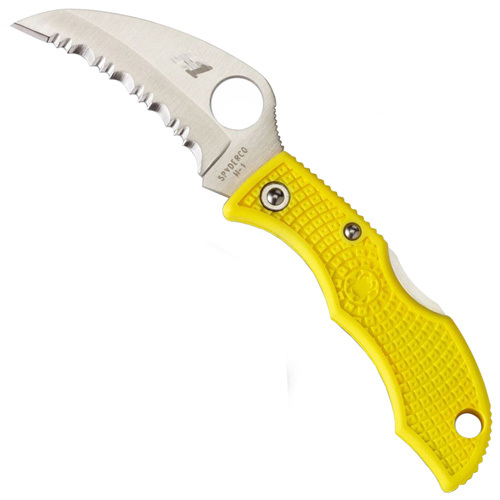 The H-1 hollow ground blade is a Spyder Edge configuration. 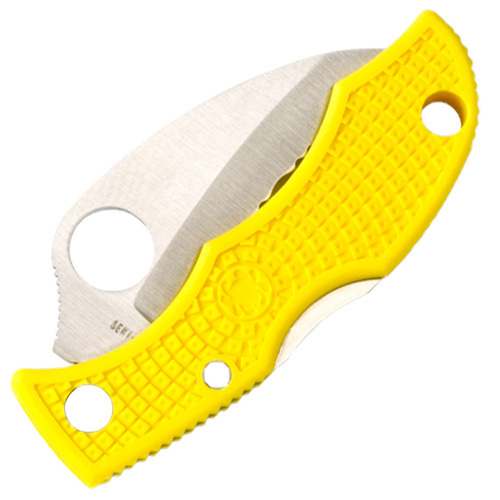 The Hawkbill shape metamorphosis a keychain-sized folder into an impressive cutting tool.